Looks like Drake isn’t playing with this sprained ankle, boy. The rap superstar is pulling the plug on a handful of upcoming tour dates, including his Toronto shows this weekend, due to an ankle injury. In an unfortunate post to the October’s Very Own blog earlier this afternoon, Drake announced the postponement of shows in Toronto on Oct. 8 and 9 (UPDATE: Live Nation tweeted confirmation Wednesday night that the Oct. 9 show would be the only Toronto date postponed) and Philadelphia on Oct. 13. Also scheduled for two dates in Newark the following weekend, Oct. 15 and 16, Drake is promising to give fans there at least one show. “I was asked to postpone both Newark shows, but I have yet to perform there and so we compromised at one,” Drake writes. Although not mentioned in the note, it is likely that the dates in Montreal (Oct. 7) and Brooklyn (Oct. 11 and 12) will be rescheduled as well. Ticketmaster updated the ticket page for the Oct. 9 Toronto date shortly after with confirmation of the rescheduling. “This event has been POSTPONED. Your event is still happening, but at a future date is (sic.) yet to be announced,” the message reads. Original tickets will be honoured at the new date, with refunds also available to those no longer able to attend. The Oct. 8 event page remains intact, but Maple Leaf Sports & Entertainment and show promoter Live Nation have yet to issue a public statement. The big question on every Ryerson student’s mind: What impact will this news have on this weekend’s 6 Fest concert, hosted by the Ryerson Students’ Union? Drake has made his support for Ryerson’s concerts well-known over the past year and has been included in the 6 Fest buzz from day one. The two-day festival was already rescheduled from mid-September, presumably to accommodate a Drake appearance as the star was performing in California at the time. 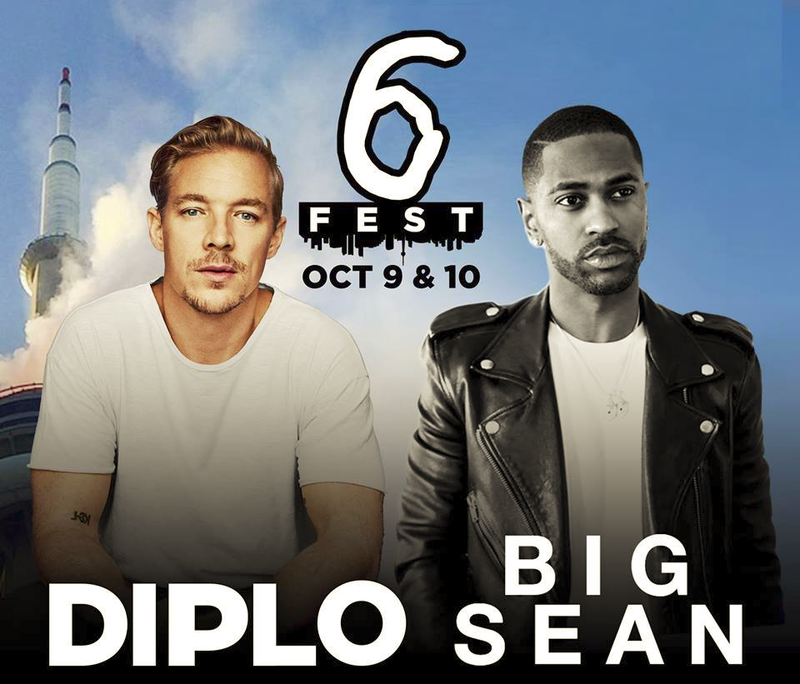 Recently, the RSU announced that Diplo and Big Sean, plus a special guest, would be the headliners. Many students immediately noticed the perfect opening in the new dates for Drake to come and bless Rye again, but as Drake’s announcement made its way to the Facebook event page, there was a sudden spike in the number of posts about tickets for sale. While this now means that Drake’s schedule is officially wide open, it seems unlikely that he would make a public appearance in his rest period. Surely, though, people wouldn’t mind a special one-time return of Wheelchair Jimmy. What do you think – is there still hope for Drake to show up at 6 Fest? Tweet us @RUtvNews or leave a comment down below!